Game Server is a specific server used by clients or gamers to run multiplayer computer games over the Internet. Game Server Providers try to rent out high performance game servers for gamers, supporting all popular computer games. Guaranteed highest performance, made possible by use of the InterNAP bandwidth and high-quality, NFO-owned hardware, custom kernel extensions, and exclusive automated systems that dynamically load-balance servers between machines to keep all running at their peak. 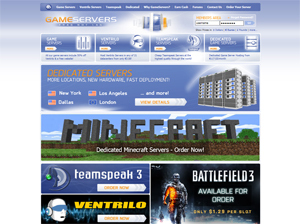 GameServers.com has established itself as the premier game hosting company through the past six years, having served over 300,000 customers, with game servers located in 22 data centers all over the world. Full Technical Support, 24x7. 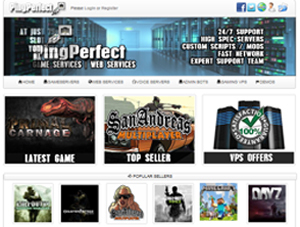 PinPerfect is a premium provider of San Andreas Multiplayer (SA:MP) servers. All game servers have a minimum of 24gb ram and use the latest I7 processors to ensure maximum performance and latency. Fastest network in Europe. 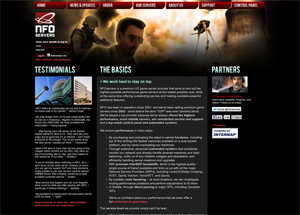 24/7 monitored hardware by experienced game and network technicians. 24 hour money back guarantee.